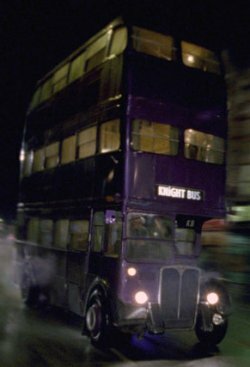 Thursday 26th January: The iconic, triple decker Knight Bus today rolls into Warner Bros. Studio Tour London - The Making of Harry Potter, which opens 31st March 2012. Taking its place among the many authentic sets, props and costumes from the eight Harry Potter films, the Knight Bus debuted in Harry Potter and the Prisoner of Azkaban™ and was one of the most complicated pieces to create in the production.